This week’s 50th anniversary of the assassination of President John F. Kennedy is reviving discussion of the Warren Commission, whose conclusions about the president’s murder are still disputed by conspiracy theorists. 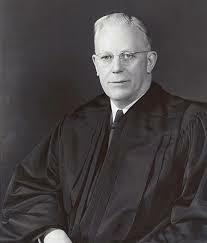 Earl Warren, Chief Justice of the U.S. Supreme Court, headed that commission, but his real importance in history is his role in the civil rights movement. Kennedy supported civil rights, but approached the issue with great political caution. Warren effectively joined with great NAACP lawyer (and future Supreme Court justice) Thurgood Marshall to change history. In the early 1950s, Marshall brought a historic challenge to school segregation to the court, hoping to overturn “separate but equal” education, which had been accepted as constitutionally permissible for over half a century. Not only did Warren write the landmark 1954 Brown v. Board of Education decision which famously declared that “separate but equal is inherently unequal,” he used his influence as Chief Justice to ensure that the ruling was unanimous. Four years later, the Warren court affirmed that states were required to carry out the Brown ruling and end segregated education. Many southern states continued to resist as long as they could, but Warren had made abundantly clear that the tide of history was against them. That was far from Warren’s only landmark civil rights decision. Reynolds v. Sims protected equal voting rights by making sure that state legislative districts had roughly equal populations, so that votes from sparsely populated rural areas wouldn’t carry more weight than those of urban voters, who were more likely to be voters of color. Under Warren’s leadership, the court also delivered critical rulings protecting the rights of criminal defendants – rights we take for granted today. In 1962, Gideon v. Wainwright guaranteed defendants the right to a court-appointed attorney if they could not afford to pay a lawyer. And Miranda v. Arizona solidified the right to counsel by barring police from using confessions obtained from a defendant unless the defendant was clearly warned (the famous “Miranda warning”) that he or she had the right to an attorney as well as the right to remain silent and not answer police questions. As troubled as many of us are by mass incarceration that disproportionately affects African Americans and Latinos, the problem could be infinitely worse without these two Warren court rulings. Warren’s role would of course never have been possible without the brave and heroic leadership of Thurgood Marshall, Martin Luther King Jr. and countless other lesser-known leaders and activists who made the civil rights movement a reality. But in an era in which every Supreme Court case with civil rights implications brings pangs of worry and fear – fears that too often come true – we should remember that the U.S. Supreme Court was once a beacon of hope. Earl Warren, hated by many who opposed civil rights, was a true American hero.